This tour will reveal the finest sites of the old walled City. Meet our expert guide at the Pile Gate and follow him/her through the narrow streets of the Old Town and experience the history and culture of this magnificent city. All the splendid buildings of the Old Town will be viewed along the way. 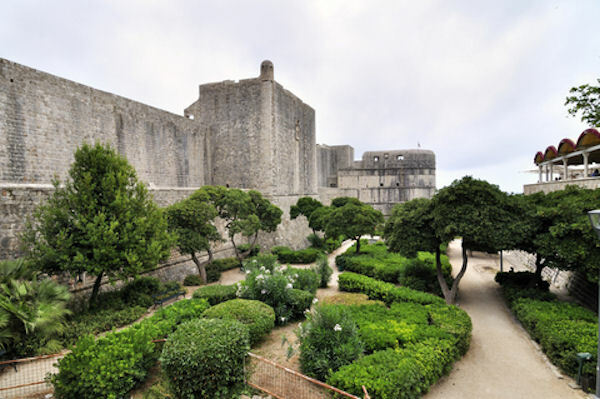 Dubrovnik is the Pearl of the Adriatic – find out why! NOTE: This tour includes guide only. Guests need to come to Pile square (west side entrance to Dubrovnik Old Town) and find a guide who is holding a sign that says " EuroAdria." Remember to bring your camera. Guests will have to walk approximately 500 meters over cobblestone and flat terrain, and take up to 50 steps. NOTE: This tour includes guide only. Tour departs from Dubrovnik Old Town. The specific meeting location will be listed in your confirmation email and voucher for this shore excursion. See the 'Redemption and Voucher Details' section below.